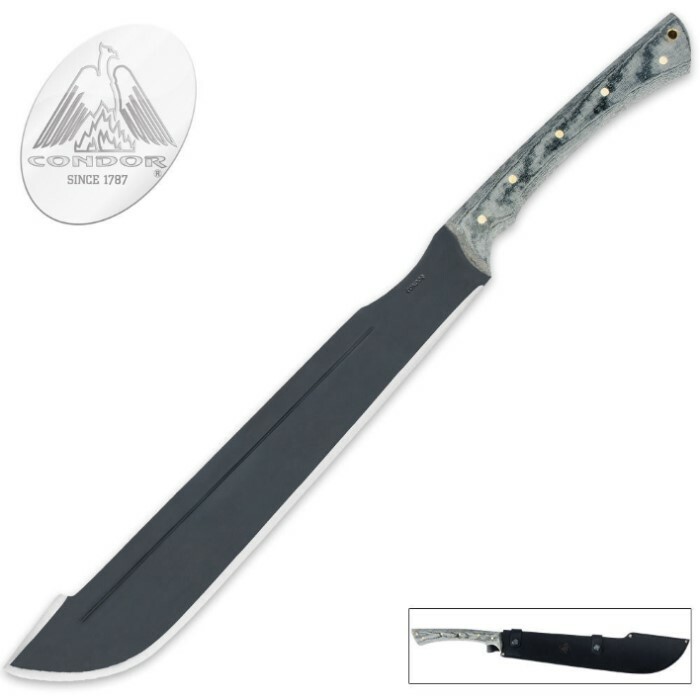 No matter the level of discord you face, this premium machete from Condor will achieve harmony with just a few slashes and bashes. 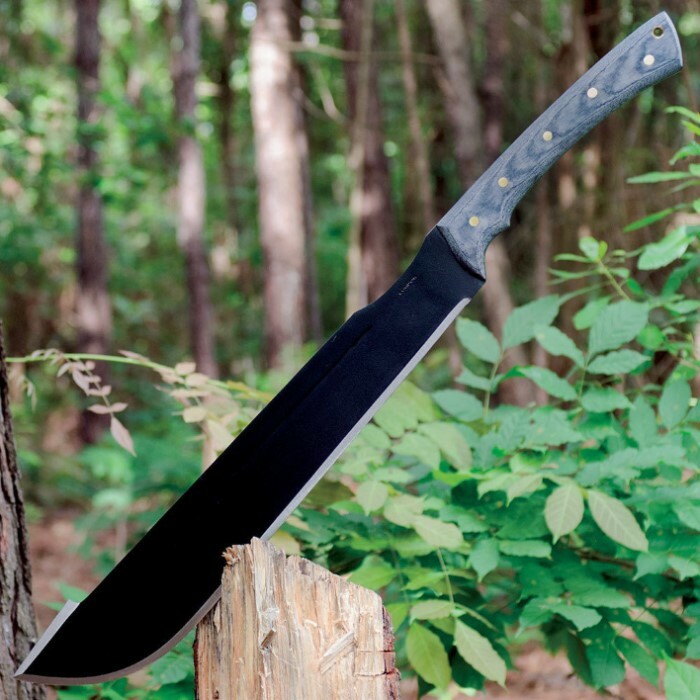 The top-quality Condor Discord machete features super tough full-tang construction. 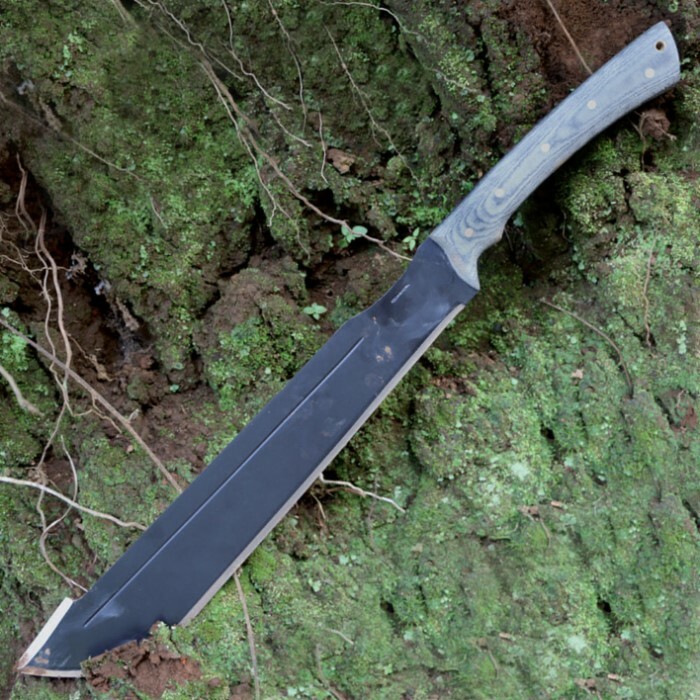 The 3MM-thick 1075 high carbon steel blade is hefty and built to last, featuring a blood groove and fiercely sharp edge that will slice trough woods and underbrush faster than you can blink. The premium Micarta handle is a nice finishing touch. 27" overall; 18" blade. Includes blade sheath.